The visual simulation of natural phenomena has been widely studied. Although several methods have been proposed to simulate melting, the flows of meltwater drops on the surfaces of objects are not taken into account. In this paper, we propose a particle-based method for the simulation of the melting and freezing of ice objects and the interactions between ice and fluids. To simulate the flow of meltwater on ice and the formation of water droplets, a simple interfacial tension is proposed, which can be easily incorporated into common particle-based simulation methods such as Smoothed Particle Hydrodynamics. The computations of heat transfer, the phase transition between ice and water, the interactions between ice and fluids, and the separation of ice due to melting are further accelerated by implementing our method using CUDA. 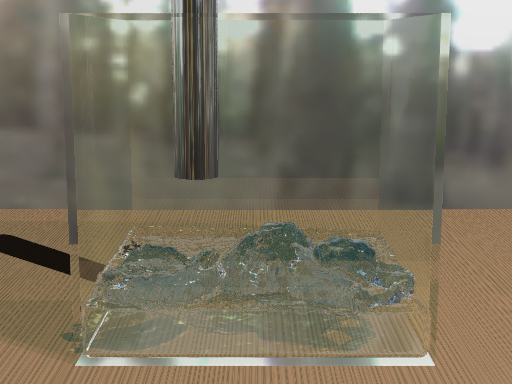 We demonstrate our simulation and rendering method for depicting melting ice at interactive frame-rates. 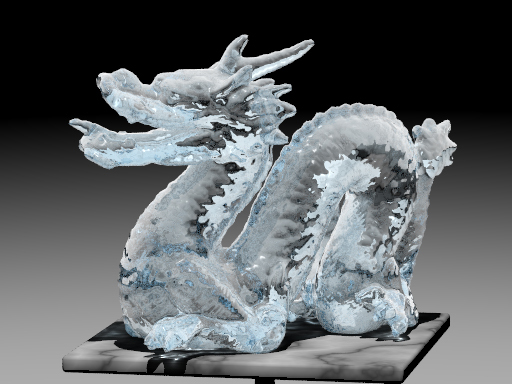 The ice dragon is melt by the surrounding air. This animation corresponds to Figure 5 in the paper. The average computational time of the simulation is 37ms. 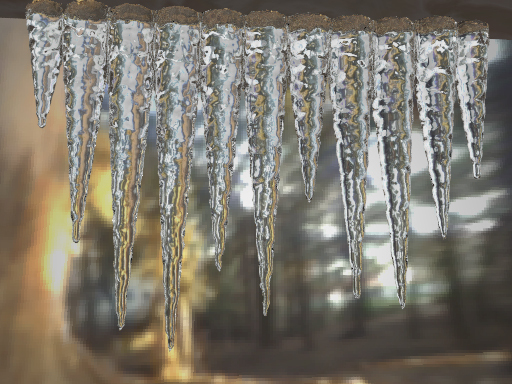 The icicles are melt by the surrounding air. This animation corresponds to Figure 6 in the paper. The average computational time of the simulation is 14ms. 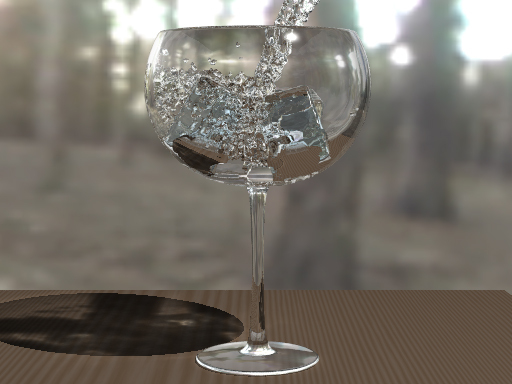 This animation shows interactions between four ice-cubes and fluids taking into account melting. This animation corresponds to Figure 7 in the paper. 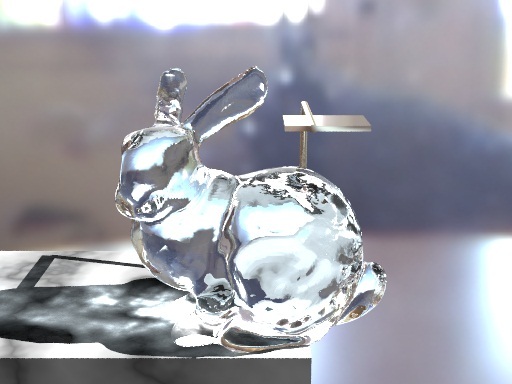 Melting ice bunny due to the external heat source. This animation corresponds to Figure 8 in the paper. 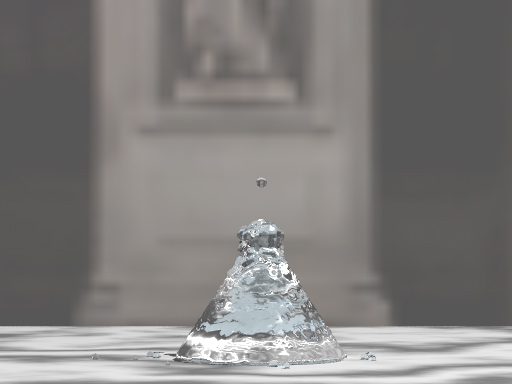 Simulation of melting and separation of ice-buddha. The legs of the ice-buddha are melted due to the hot water. The pedestal separates from the body of the ice-buddha. Then the pedestal and the body float on the water. This animation corresponds to Figure 9 in the paper. This animation shows a formation of an ice spike by freezing water droplets. This animation corresponds to Figure 10 in the paper.